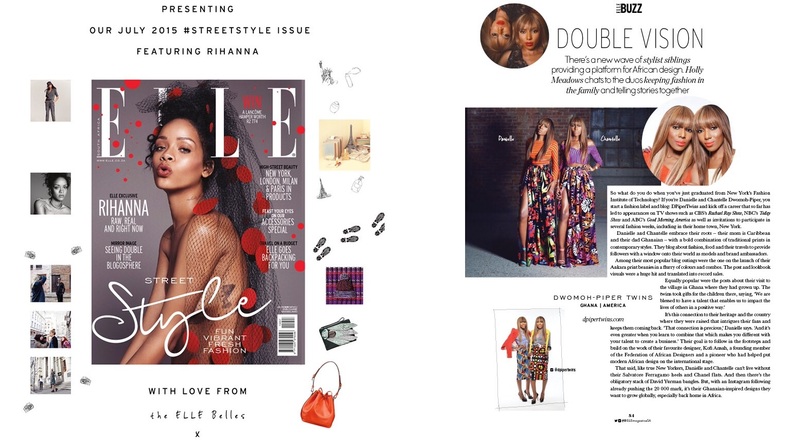 Exciting news!We are featured in the July 2015 issue of Elle magazine South Africa with Rihanna on the cover. Grab a copy , It is available on the newsstands now. To give you a little teaser, In this feature we discussed our lives as bloggers, fashion designers and so much more. We had an amazing time shooting for the article in a museum located in the Bronx . We totally channeled our inner Naomi Campbell and Tyra banks while modeling our Fall 2015 floral skirts and stripe knit shirts . Shop our looks online at http://www.dpipertwins.com soon.